‘Curiosities’ seem to be popping up a lot on TV, radio and the web recently – such as in Radio 4’s Museum of Curiosity, where guests donate objects to a vast imaginary museum, and Professor Hutton’s Curiosities, the Discovery Channel’s 2013 series exploring quirky museums from around the UK (including the Grant Museum). As many will know, these titles take their cue from cabinets of curiosities, collections kept by physicians, naturalists, explorers and wealthy amateurs throughout Europe in the 16th and 17th centuries. Surviving objects from these cabinets are still on show – one is the Chaucer stone, a piece of flint broken open to show the shape of the poet’s face, in the British Museum’s Enlightenment Gallery; another is Powhatan’s mantle in the Ashmolean Museum in Oxford; yet another is ‘the Vegetable Lamb of Tartary’ in the Natural History Museum, a dried fern which people loved to believe was half animal, half plant. 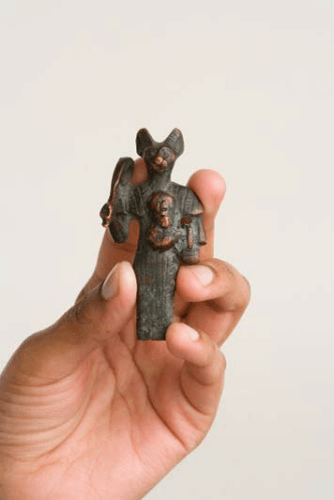 The third – the Jeremy Bentham auto-icon – sits in its own cabinet in UCL’s South Cloisters. Bentham not only asked that his body be preserved after his death, but also said that his preserved body could be present at gatherings of ‘personal friends and other disciples’. This, weirdly, seems actually to have happened. In the book artist Shirin Homann-Saadat describes the auto-icon as ‘an altar to meditate about death’ and talks about a sculpture she made in response to it. But today’s museums have gone well beyond those early cabinets in their remit – even in this brief selection there are objects used in zoology and psychology research, and as inspiration for an artwork. One could say that the spirit of the early cabinets lives on in museums – the Grant Museum itself can seem quirky and macabre, with its row of grinning primate skeletons on the mezzanine and strange juxtapositions – just in one display case near the entrance you can see a platypus’s reproductive organs, an elephant tusk with bullet holes, and a furry dissected thylacine. 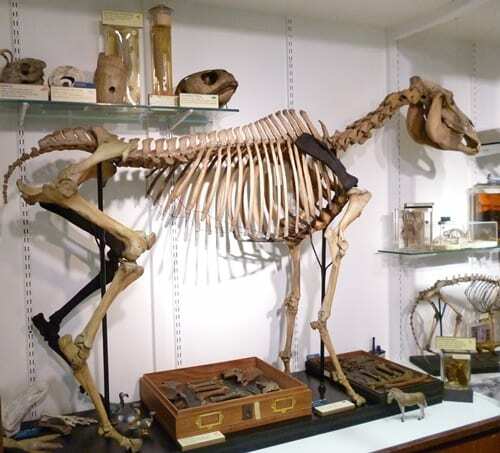 A curious mixture indeed – but as Grant Museum Manager Jack Ashby argues persuasively here, seeing natural history specimens primarily as curios undermines their importance, and drastically underestimates the things that we can learn from them. We have so many more tools, techniques and ways of thinking at our disposal than those early cabinet keepers. The cabinet doors are a way in, but once inside the museum we can learn so much more than those early collectors possibly could from and about objects. 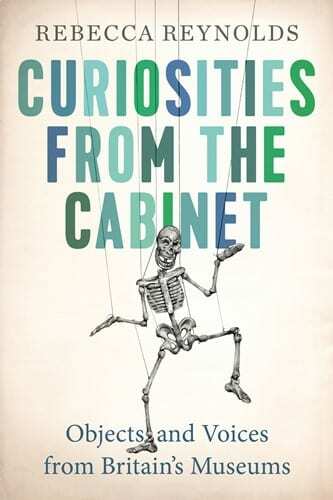 Curiosities from the Cabinet: Objects and Voices from Britain’s Museums by Rebecca Reynolds is available from Amazon (paperback and e-book) and to order from your local bookshop. All profits go to the UK museum sector.